South Korea has been angered by Pyongyang’s latest missile launch, with president Moon Jae-in warning that further provocations could result in complete destruction. He also ruled out the possibility of opening a dialogue with the belligerent North. “In case North Korea undertakes provocations against us or our ally, we have the power to destroy (the North) beyond recovery,” the South Korean leader said on Friday as cited by Yonhap news agency. Moon was speaking after North Korea launched a missile earlier in the day that flew through Japanese airspace and landed in the Pacific Ocean some 2,000 km east of Japan. Seoul immediately convened a National Security Council (NSC) meeting, where Moon condemned the launch, saying the North had once again breached United Nations Security Council resolutions and “poses a grave challenge to the peace and stability of the Korean Peninsula and the global community,” according to RT’s Ruptly news agency. 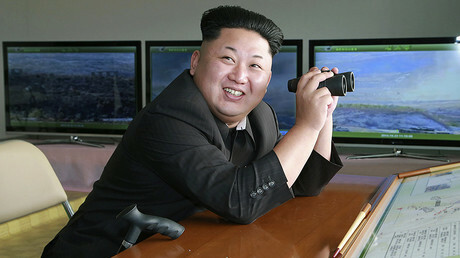 “I sternly condemn and express anger at this series of provocations by the North,” Moon is quoted as saying by Yonhap. The South Korean president also said that dialogue between the South and the North is currently impossible and called for greater pressure on the North. “Dialogue is impossible in a situation like this,” Moon said. South Korea also should be prepared to new types of threats from the North, including biological ones and electromagnetic pulse (EMP) weapons, Yonhap reports citing presidential spokesman Park Soo-hyun. While Seoul still wants to wants use diplomatic means to solve the crisis on the Korean Peninsula and pressure Pyongyang to halt nuclear and missile programs, it also pushes to cooperation with the US in the defense sphere. President Moon called for an early revision of the agreement with US President Donald Trump, allowing the deployment of heavier warheads on South Korean missiles. The second flight of North Korean missile over Japan occurred on Friday morning, with the first one having taken place in late August. The projectile covered a distance of around 3,700km over Japan, which is 1,000km more than previously, and fell into the North Pacific Ocean. 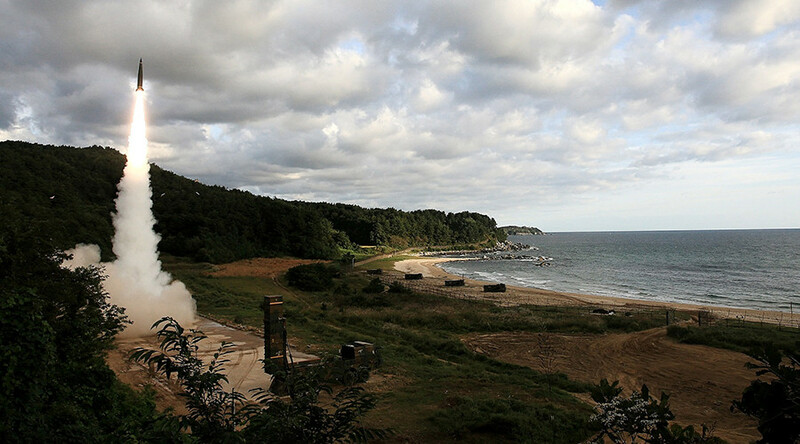 Moon was reportedly alerted in advance and ordered to conduct military drills after the North had fired the missile. 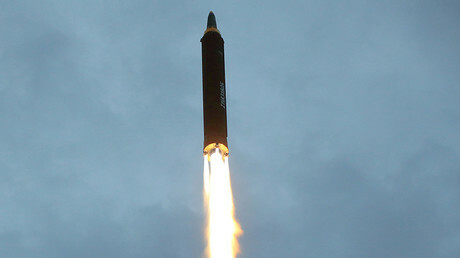 South Korea fired two Hyunmoo-2 ballistic missiles just six minutes after the North Korean missile launch, while the North’s projectile was still flying, according to Yonhap. One of the missiles failed “in the initial stage” and the other flew some 250km and “accurately hit” a simulated target in the East Sea (as the Koreas prefer to name the Sea of Japan), the South Korean military said, as cited by the agency. On Thursday, Pyongyang threatened to “sink” Japan and to “wipe out” South Korea following the adoption of a new UN Security Council sanctions resolution this week, in response to the regime’s recent nuclear test.